The Negotiation Challenge 2010 took place on March 19-20.03 in Leipzig, Germany. 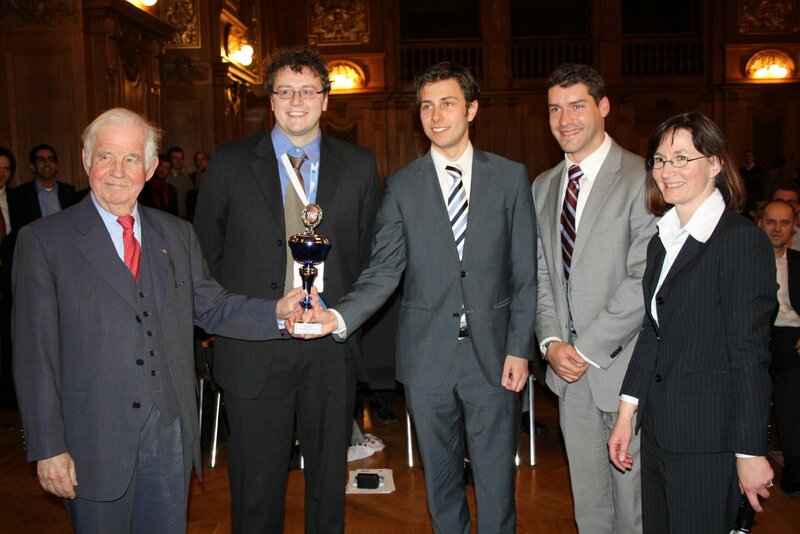 The competition was organized by the graduate students from HHL – Leipzig Graduate School of Management. The final of The Negotiation Challenge 2010 took place between the students of IESEG School of Management and University of California, Hastings College of the Law. The jury had no doubt that the title of Great Negotiators 2010 and the trophy should go to the team representing UC Hastings. The winning team consisted of the following students: Ryan Cunningham, Christoffer Lee, and Timothy Crawley. The competition was organized by a great team of HHL students including: James Downs, Jens Goerdten, Karsten Winkler, Ramilya Sufianova, Michael Römer, Roland Drapatz, Ivelina Florev, Dima Dizhevskiy, Stine Taeubert.